You can listen to someone and answer. You can start talking with someone. You can explain what you are doing out loud. You enjoy listening to and joining in with songs and stories. You can imagine you are someone else and say things that they might say. 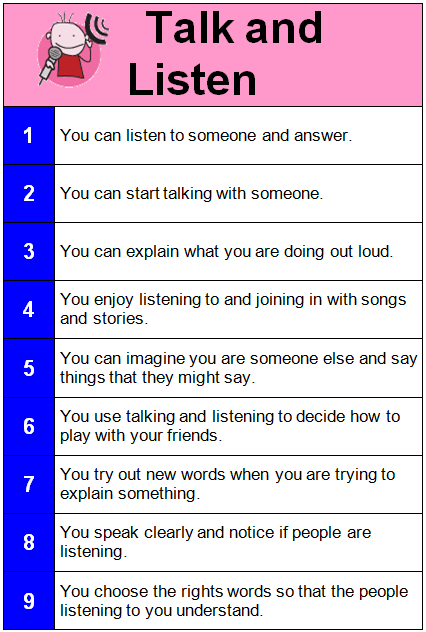 You use talking and listening to decide how to play with your friends. You try out new words when you are trying to explain something. You speak clearly and notice if people are listening. You choose the rights words so that the people listening to you understand.